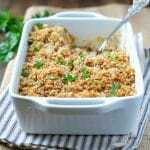 Chicken Kiev Casserole made with a creamy and comforting chicken filling and topped with a delicious herb crust. 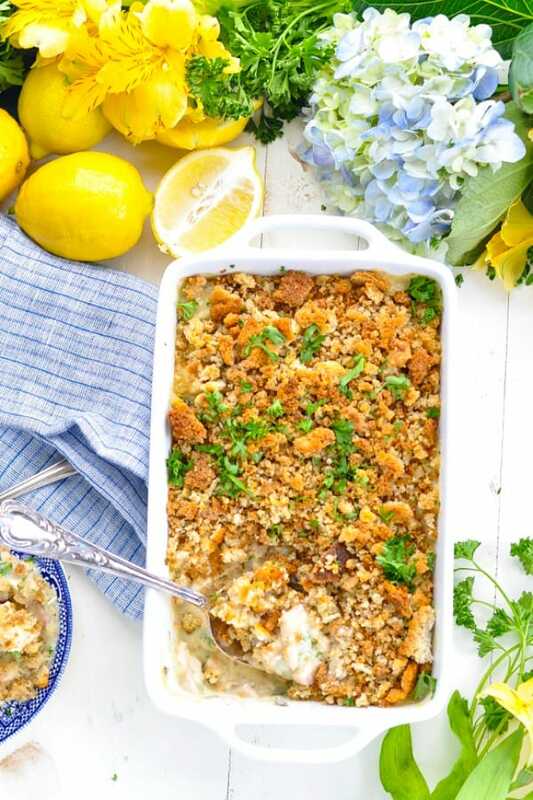 A 10-minute dump and bake dish the whole family will love. 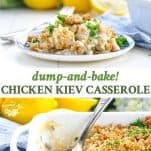 The classic Chicken Kiev is deconstructed and transformed into an easy 10-minute dump-and-bake casserole! In this one dish meal, a creamy chicken filling is studded with fresh parsley and garlic, and then topped with a buttery herb-seasoned crust. 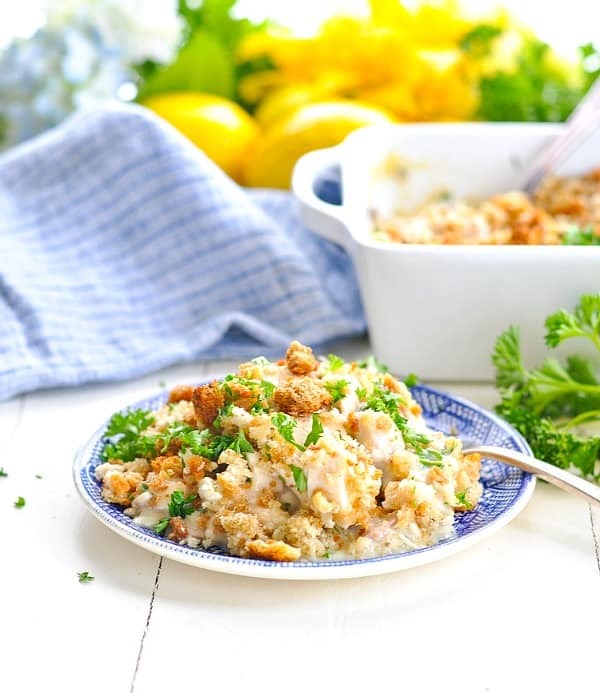 Finished with a dash of fresh lemon, it’s a comfort food supper that will become a staple on your weeknight menu! Hey, friends! Once again, I’ve taken a traditional dinner and turned it into an easier, more-accessible, dump-and-bake recipe! That means that my version of Chicken Kiev requires only 10 minutes of hands-on prep, and the oven does the rest of the work. Shall we break it down?! A classic Chicken Kiev recipe typically involves chicken breasts that have been pounded flat, rolled in cold butter, coated with eggs and breadcrumbs, and then either baked or fried. You’ll often find fresh parsley or other herbs in the mix, too. I don’t know about you, but I just don’t have the time (on a regular weeknight), to be pounding, breading, and frying meat. Or, if I do have the time, I would rather be spending it with my kids, with a good book, or taking care of some of my household chores. NOT standing over a skillet browning batch after batch of chicken! There’s just no frying involved! 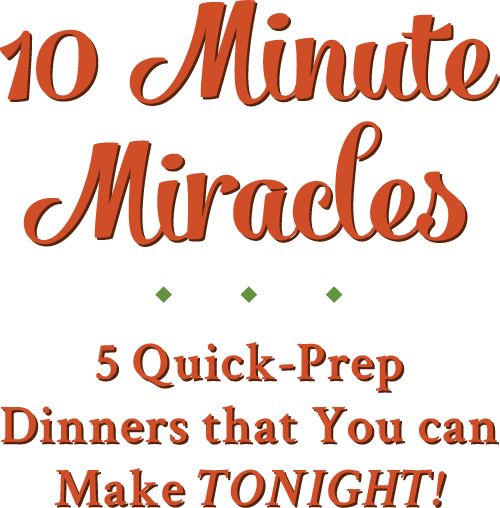 In a large bowl, whisk together condensed soups and milk. Stir in cooked chicken, garlic, and 3 tablespoons chopped, fresh parsley (save the remaining parsley for a garnish at the end). Cover baking dish with foil and bake. Remove foil and bake again until heated through and browned on top. This super easy meal can be prepared in advance and refrigerated (or frozen) until you’re ready to bake it! 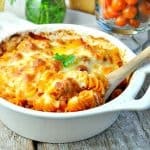 Share the casserole with a friend in need, or just spoil your own family with a comforting home-cooked meal. 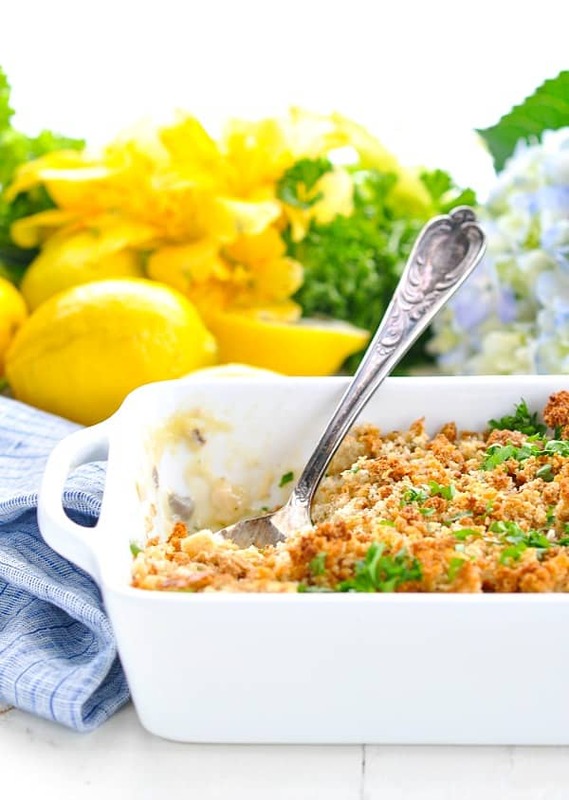 My Chicken Kiev Casserole makes it easy to get a tasty dinner on the table — any night of the week! Cooking for Two? Cut the ingredients in half and prepare the casserole in an 8-inch square baking dish. In the alternative, you can prepare the full recipe, but divide the ingredients between two 8-inch square pans and wrap one tightly to freeze for a later date. Want to Prep Ahead? 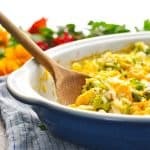 Assemble the casserole and keep it in your refrigerator for up to 24 hours before baking, or keep in the freezer for up to three months before baking. What chicken to use? You can use the meat from a cooked rotisserie chicken or purchase cooked chicken at the grocery store for a true dump-and-bake shortcut. If you prefer to cook your chicken at home, I use 1.5-2 lbs. of raw chicken tenders (breast meat is fine too, but the tenders cook faster). Easiest cooking method? My preferred cooking method is to place the chicken tenders in a baking dish. 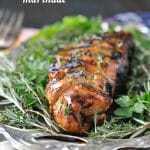 Drizzle with olive oil, season with salt and pepper, and toss to coat. Cover with foil and bake in a 400 degree oven for about 30 minutes (or until chicken is cooked through). Allow to cool before chopping and using in the recipe. Cover baking dish with foil. Bake, covered, at 350 degrees F for 20 minutes. Remove foil and bake for an additional 10-20 minutes, or until heated through and browned on top. Blair, this recipe is such a genius idea! I love it! 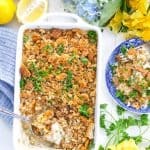 I make frozen chicken kievs when we want a quick and easy dinner, but I’m definitely pinning this deliciousness to try. 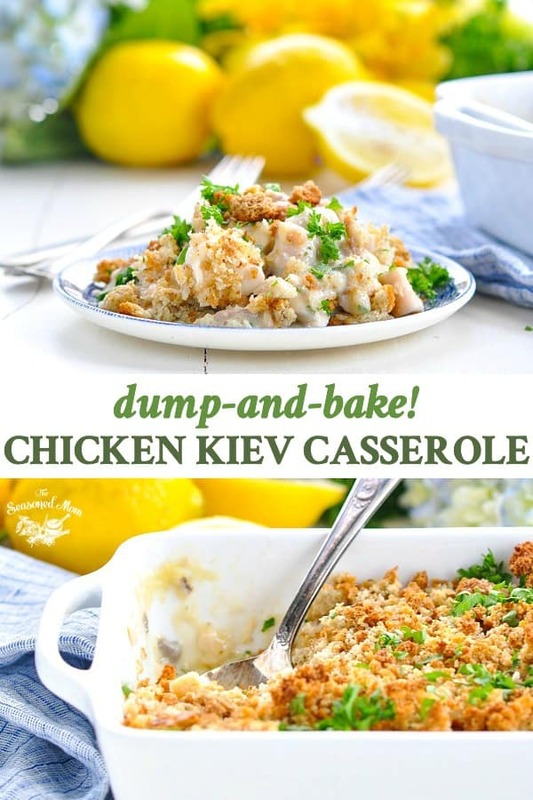 I love chicken kiev and your dump and bake version sounds SO good! Definitely easy and something that I have time for. And I love your video, too! Combine and refrigerate-that’s it! When we’re feeling fancy, we might substitute lemon pie filling for the cherry. It’s very sweet, so a small serving is plenty and is great for a crowd or potluck. Hi, J! 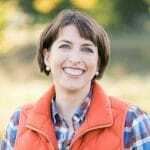 I’m SO glad that you’ve found my blog and that you spent some time going through the older recipes. You’re right — this Pink Salad sounds absolutely PERFECT! I have some recipes for “fluff” on my site that are similar, but I’ve never tried one with the condensed milk and pie filling. Love the idea! I’m definitely going to make it soon, and I’ll let you know how it goes. 🙂 Thanks SO much! I love the video! What an awesome easier alternative!! This sounds delicious. I will probably cut it in half since I cook for just me. I’ll use the Campbell’s soup that is cream of mushroom/chicken combined. 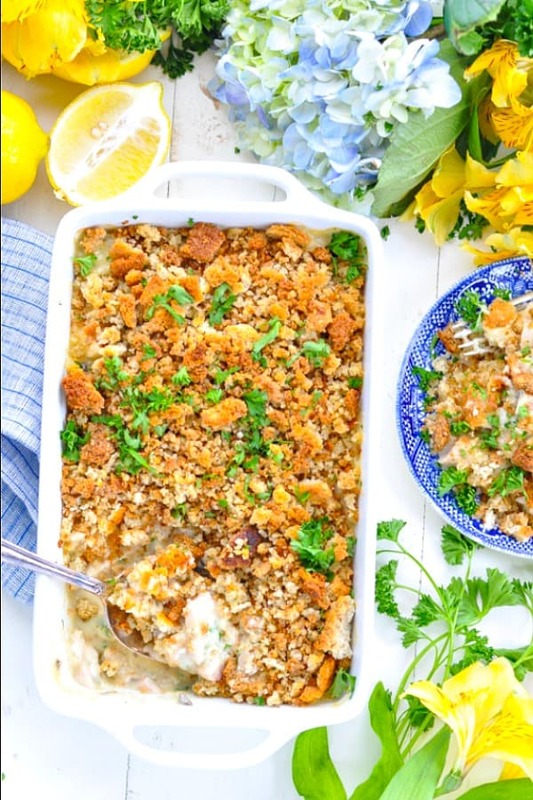 Love the idea of a deconstructed chicken kiev casserole, this was one of my fav foods growing up. Can’t wait to try it! Have been cooking for many years but still find inspiration with your recipes. And I do enjoy the beautiful photos. Thank you!